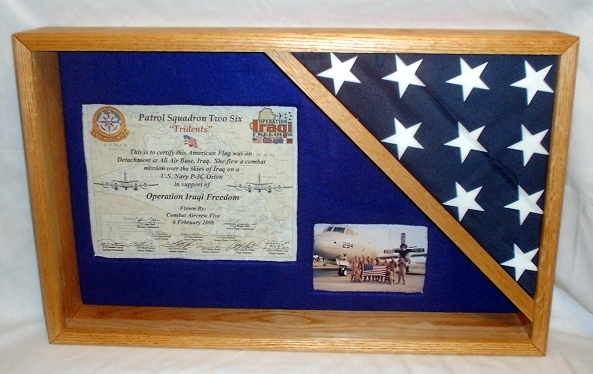 The Colonial II Shadow Box fits 3′ x 5′, 4′ x 6′ or a 5′ x 9′ flag. The case is constructed with your choice of wood, Oak, Mahogany, Walnut, or Cherry and all three bays are lighted. The center compartment measures 12 1/2″ x 12 1/2″ and the wing compartments measure 6″ W x 12 1/2″H. The overall widtth is 30″ and the height is 24″ or 28″. Please allow 2- 6 weeks for assembly and shipping. 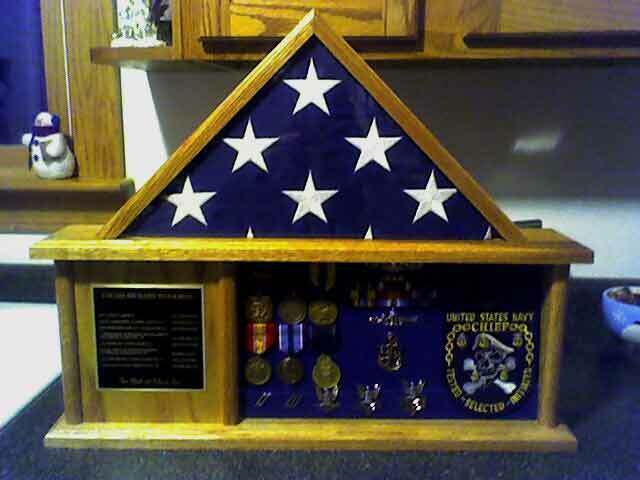 The Colonial II Shadow Box fits 3′ x 5′, 4′ x 6′ or a 5′ x 9′ flag. 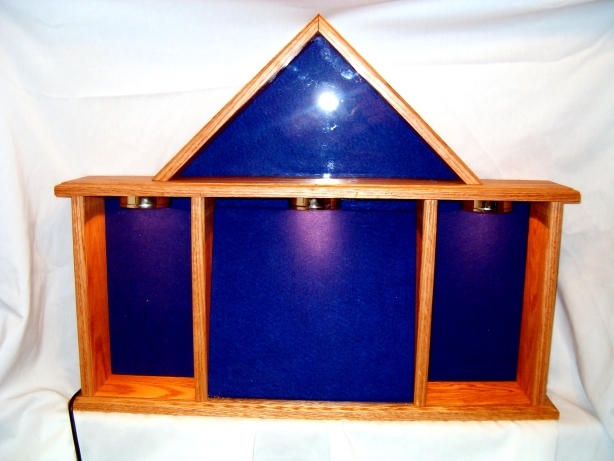 The case is constructed with your choice of wood, Oak, Mahogany, Walnut, or Cherry and all three bays are lighted. The center compartment measures 12 1/2″ x 12 1/2″ and the wing compartments measure 6″ W x 12 1/2″H. 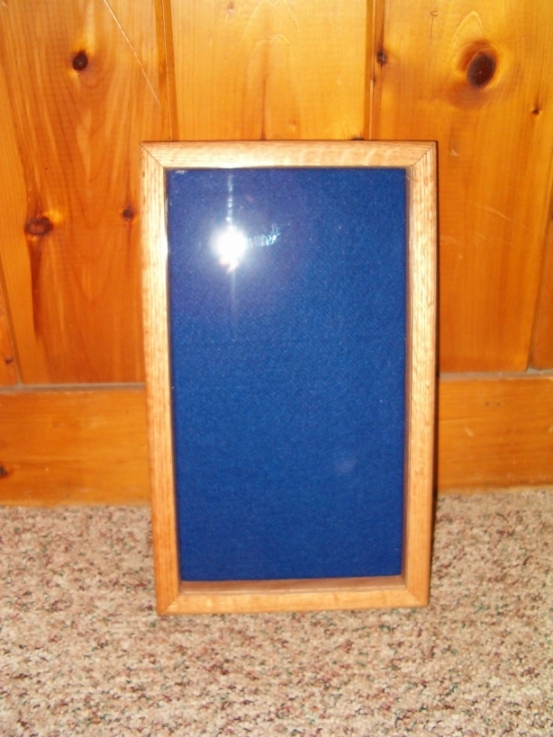 The overall width is 30″ and the height is 24″ or 28″. Please allow 2- 6 weeks for assembly and shipping.